You are looking for a unique phone case for your Huawei Honor 8X that will make your phone stand out from the crowd? 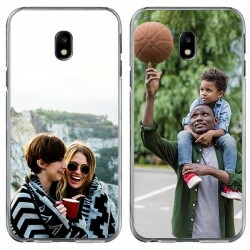 At GoCustomized, we are specialized in producing custom phone cases. Our Huawei Honor 8x custom case is specially made for you. 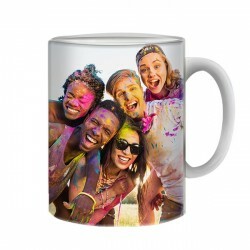 After years of experience in the field of personalized phone cases, we have perfected the printing process for a wide range of different case types. We offer, among others, hard cases, silicone cases, flip cases and wallet cases. 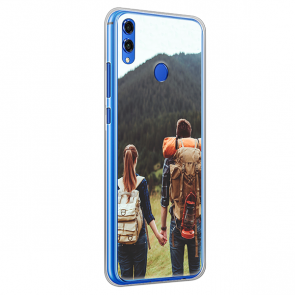 All you need to do to create your own custom Huawei Honor 8x case is choosing the photo or design you want to use. We will take care of the rest and make sure your Huawei Honor 8x custom case is produced and shipped within 24 hours after you placed your order. So what are you waiting for? The custom Huawei Honor 8x case you always envisioned is only a few clicks away! Our user-friendly design tool allows you to create your custom Huawei Honor 8x case design in only a few minutes. We guarantee you, with a Huawei Honor 8x custom case you won't ever meet someone with the exact same case ever again. 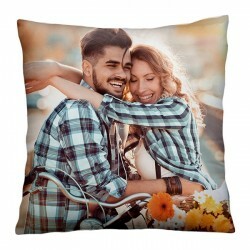 For the design, you can not only use your favorite pictures but also patterns, quotes, or logos. You should always use the highest quality possible to ensure a perfect outcome. If you want you can import pictures directly from one of your Facebook or Instagram accounts instead of uploading it from your computer's hard drive. With a custom Huawei Honor 8x case, you can make sure that your precious companion stays in great condition but also express your personal, unique style. We are sure you can find the case that fits your needs best as we offer a great variety of different types.